Hornby BR 4-6-2 'Thomas Hardy' Britannia Class - Early BR. 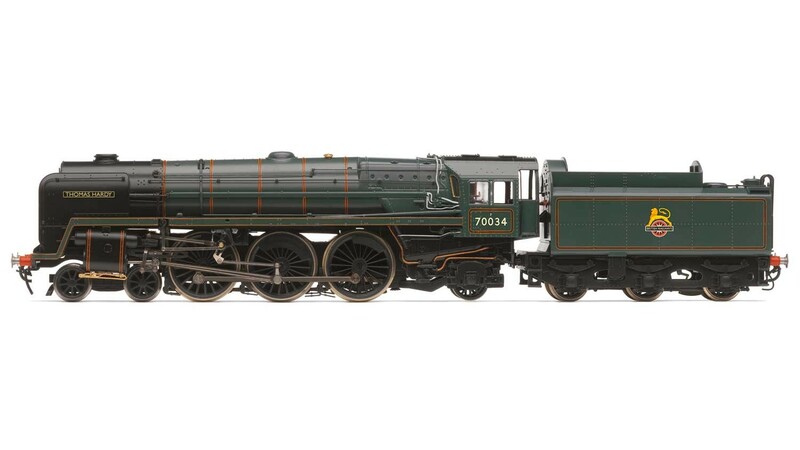 Class: Britannia, Wheel Configuration: 4-6-2, Livery: BR Lined Green with early crest, DCC Ready. 70034 Thomas Hardy entered into traffic on December 20, 1952 from Longsight (9A) shed before heading to the Eastern Region in July 1953, where it served for ten years. Thomas Hardy�s final shed was Carlisle Kingmoor (12A) in May 1966 from where it was withdrawn in July 1967, being sold for scrap in September that year.